The first group of volunteers recruited to help organizing efforts is already on the job to ensure the run-up to the November event goes smoothly. Over 5,000 volunteers will be working at the first China International Import Expo in November. Some, like Jiang Huan and Bao Qing, have already started work in preparatory steps for the event. Jiang, 29, a Metro train maintenance worker in Shanghai, was one of the first 25 volunteers recruited to work full-time with government event organizers. She is attached to the market supervision and administration bureau of the Qingpu District, where the Import Expo will be held. She’s working in a department overseeing food safety for the event. The expo, which is expected to draw large numbers of foreign companies and visitors, is part of China’s efforts to demonstrate to the world its willingness to open its markets further to global trade. The event is the biggest in the city since the 2010 Shanghai World Expo. Jiang said she registered to become a volunteer after she saw TV news report on recruitment efforts. “I was proud to serve as a volunteer at World Expo held in Shanghai, and I want to be part of another grand event in my own hometown,” she said. During World Expo, Jiang was a part of a team within her company that was in charge of the operation and maintenance of Metro lines 9 and 13. The first 25 volunteers were selected from among 1,800 candidates who showed up for interviews organized by the Shanghai Youth League. 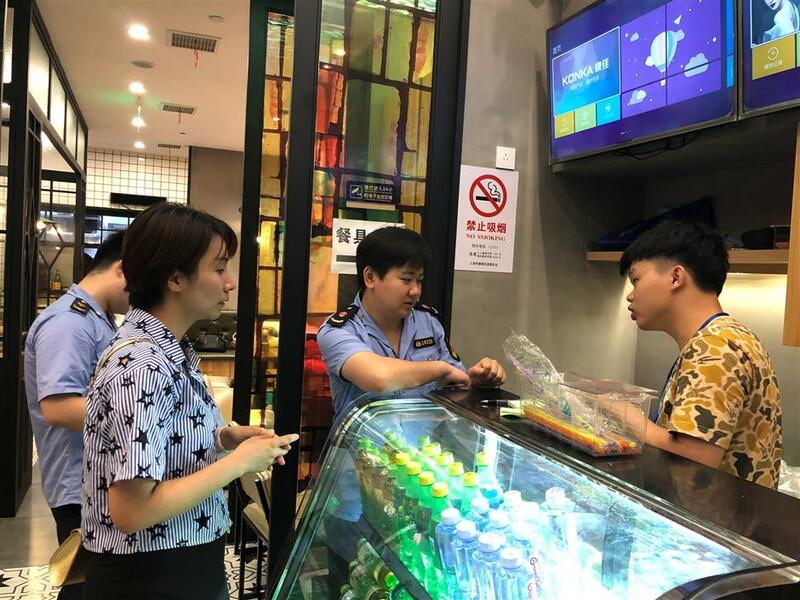 The job of Jiang and her colleagues is to ensure food safety at 68 restaurants and supermarkets located within the complex of the National Exhibition and Convention Center, which will host the event. 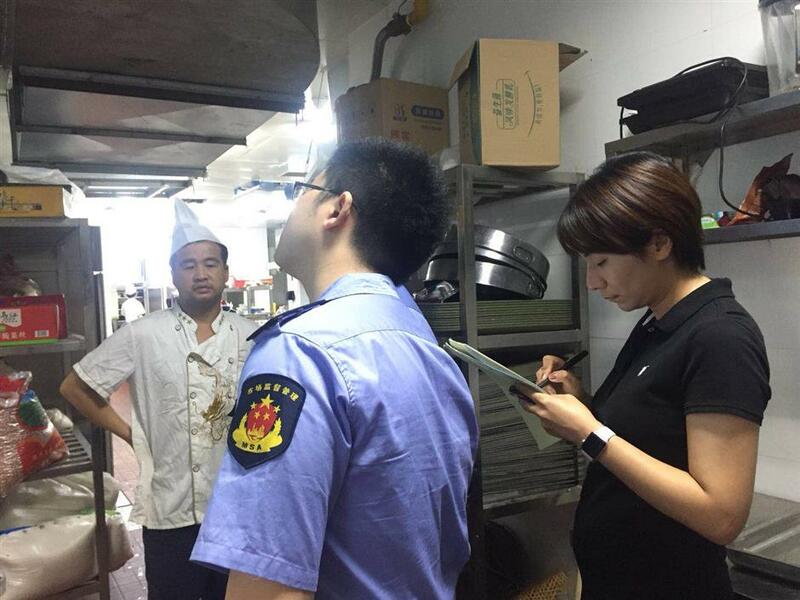 Jiang’s current task is to inspect those premises to ensure all food can be traced back to its source, to check that all employees are qualified, to make sure that waste oil is recycled according to regulations, and to inspect kitchens so that waste and raw food are not in contact with cooked food. Since she is not a professional inspector, she works with a pair of bureau inspectors. Jiang Huan inspects a restaurant with her colleagues. “At the beginning, I had trouble keeping track of the names of restaurants and their main business range, but my colleagues have brought me up to speed,” Jiang said. As a result, she tends to enter any restaurant nowadays with a keener eye. “I look for the food safety rating sign at a restaurant, which I had never noticed before,” she said. Jiang said the volunteer job is a stimulus to her own career. “Every detail matters, and every new task is an opportunity to learn something new,” she said. Bao, a 23-year-old graduate student at Tongji University, was another one of the 25 chosen. She started to work at the end of June. She is now attached to a special task force in charge of organization and coordination of on-site medical services for the Import Expo. She assists her colleagues on the job and also helps collect information and prepare reports related to their work. Bao Qing works in the office. “It’s a great honor to serve at an important event like this as a young student, and I’m sure it will open new horizons for me,” she said. 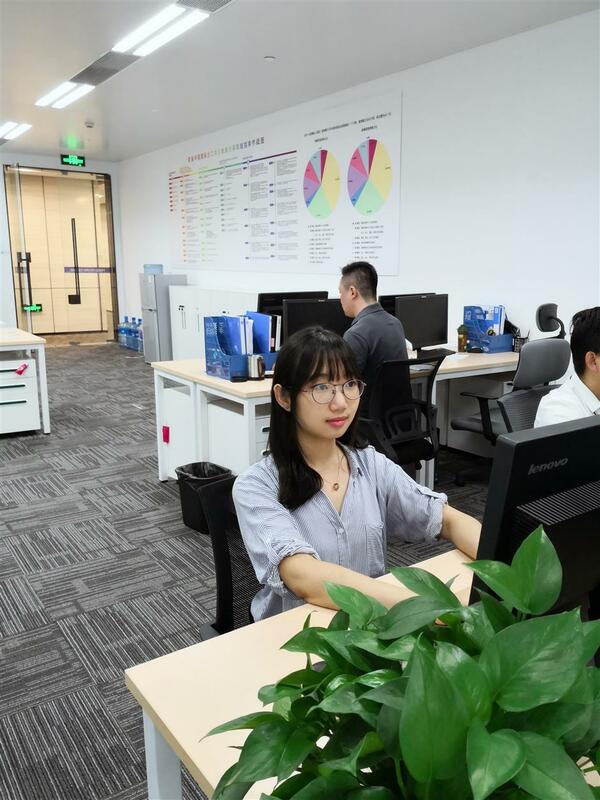 Bao, who is studying technology economics and management, faced a steep learning curve when she stared work. At the beginning, she was assigned the job of posting team task schedules and the distribution of medical stations inside the complex of the venue. Now she has started to assume a liaison role in communicating with medical institutions and in preparing materials for working conferences on medical services for the event. “I find it very useful to write summaries after each day’s work because it helps me stay on track and improve my work,” Bao said. She works nine to five weekdays and spends her evenings studying. It’s a lot of pressure but her enthusiasm supports her.